Countless emails come across our desk every day, and with great pleasure do we take the time to read such kind words as these. We were recently contacted by the daughter of a customer from over 30 years ago, with a request to upgrade the house they have lived in and cherished for many, many years. Often we do not think back to the origin of a homes design to the basis of where memories are created, but this kind and wonderful letter acts as a reminder that the environment we create our memories in become forever attached to the memories themselves. Take a look and read the glowing words from our past clients, The Tibbetts, on their home, project, and the next generations plans to keep their house a Richard Haro Design. Are you anxious to start a new project but not exactly sure as to where to start? We can help! We have over 40 years of experience designing custom homes and helping the dreams of our customers become livable realities. Before you start your remodel journey, take a look at some of our trusted and experienced contractors, beautiful preferred showrooms, and exceptional places to inspire your creativity. We take on all aspects of the design and build process for you; from drafting plans, helping you make informed decisions, walking you through the city process, and taking great care in every element of the construction and upgrade process for your living space. Let us help build your new home! Check out Richard's list of preferred sources for services here! Interested in checking out what we've been up to lately? Take a look at Richard's blog, where you can see updates on current jobs, interesting tips, tricks, design ideas, and a personal look into the company president. "A DESIGN AND BUILD COMPANY"
If you are building for yourself or are in the business of building for others, you would be wise to call on the services of Richard Haro Drafting & Planning. From the ideas, rough sketches and specifications you provide and their experience in residential building design and drafting. Richard Haro Drafting & Planning can prepare working plans, detailed drawings and blueprints to be used in creating your home. Go ahead and take the first step toward your dream home. Phone Richard Haro Drafting & Planning at (408) 532-1755 today and let them create a home with beauty, style and livability for today, tomorrow and beyond. 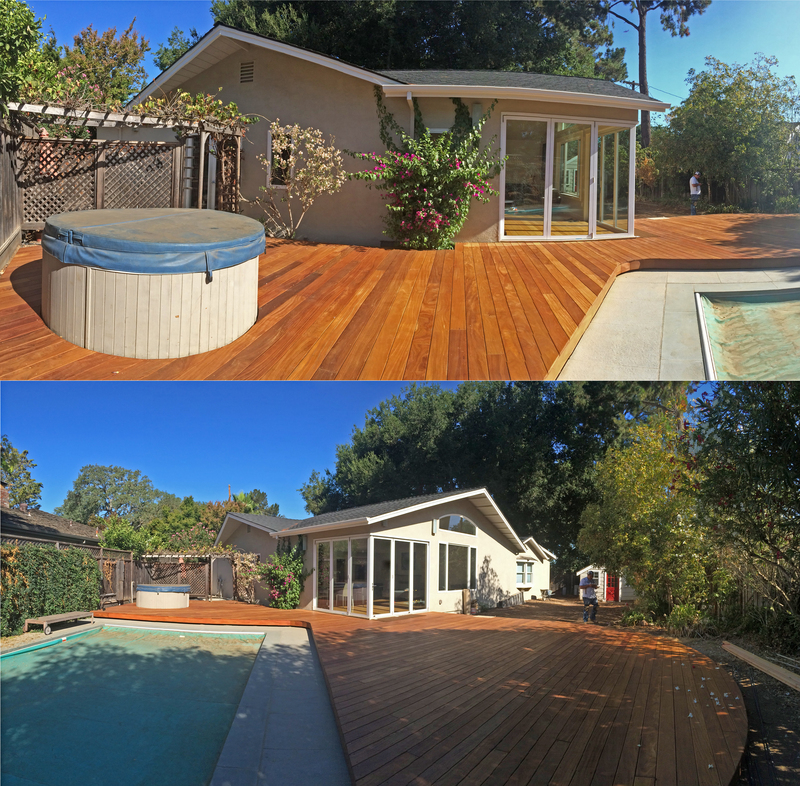 Take a look at the beautiful backyard deck and stylish La Cantina doors at one of our recent Los Altos projects, including a expanding living area, exotic Brazilian deck, and a light and airy layout sure to be enjoyed for years to come.